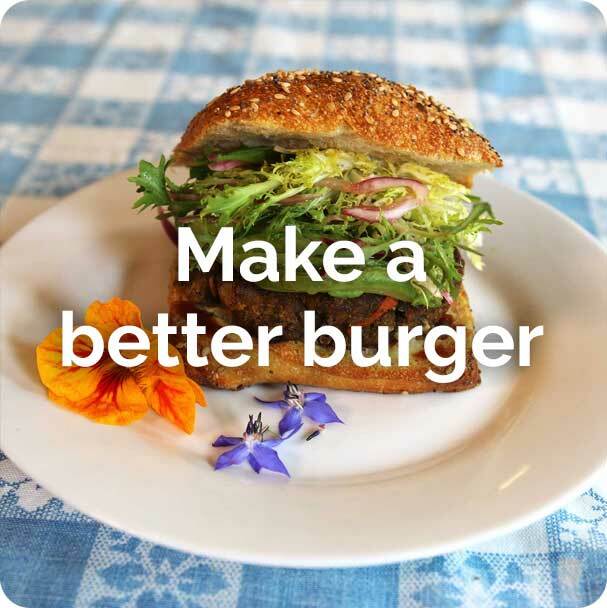 Help transform the iconic hamburger into a force for a better food system. Better for your health, the environment, animals and farmers. 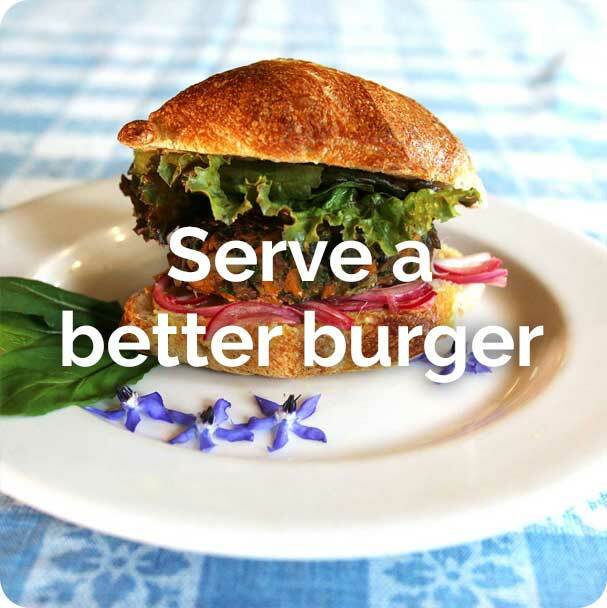 We are calling on food service professionals and chefs, and campus sustainability and food service directors to serve better burgers. 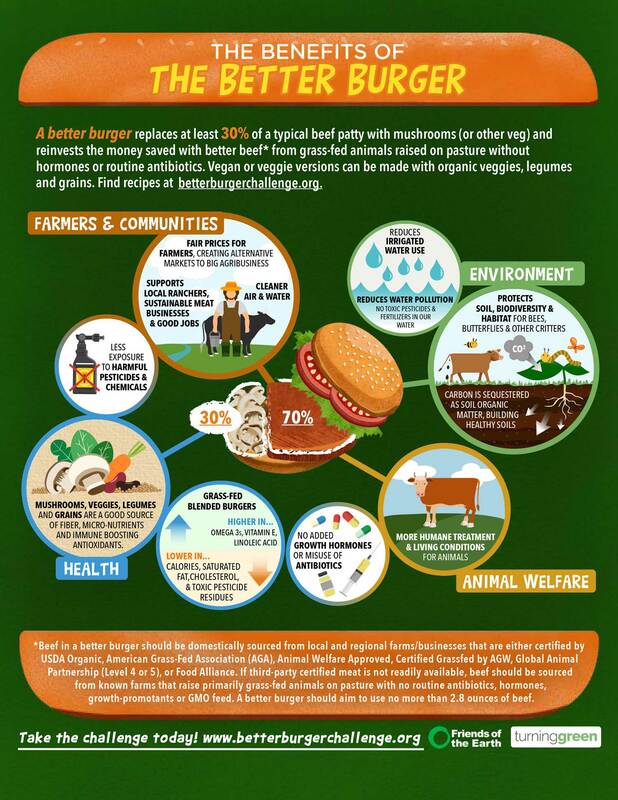 By making a veggie or organic, grass-fed burger blended with organic veggies, mushrooms or legumes, you can provide a healthier option that helps remove carbon from the atmosphere, protects pollinators and builds healthy soil. 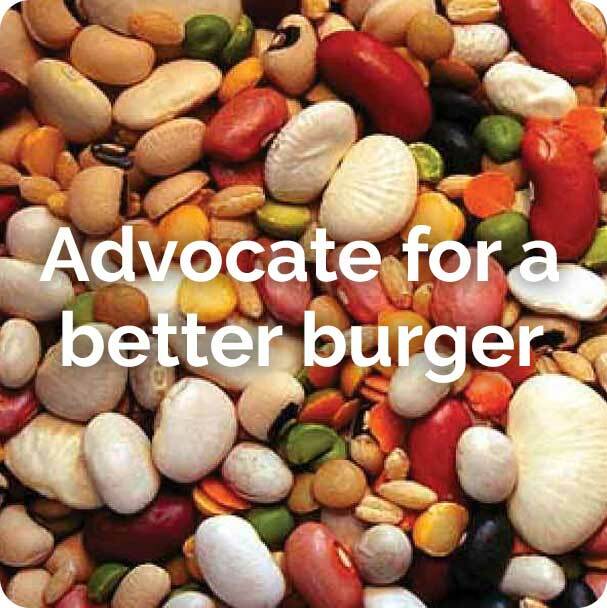 We also provide tools and resources to advocate for better burgers on campuses. Americans eat at least 20 billion burgers a year. Most of those burgers come from animals raised on polluting factory-farms that are fed a diet of water-intensive GMO corn and soy. Raising vast monocultures of feed uses large amounts of toxic chemicals that pollute our water and our bodies. It also generates major greenhouse gas emissions and destroys precious biodiversity that support pollinators and other living creatures. Most of those burgers are processed by four large meat companies that control over 80% of the market. Independent ranchers are often at the mercy of these concentrated markets and cheap competition, making it difficult for them to secure a fair price and get their healthier, more humanely raised animal products to market. And while consumer demand is surging for grass-fed meat, U.S. producers are losing out as increasing amounts of grass-fed meat are being imported from abroad at cheaper prices. Better burgers can be made in a number of ways. 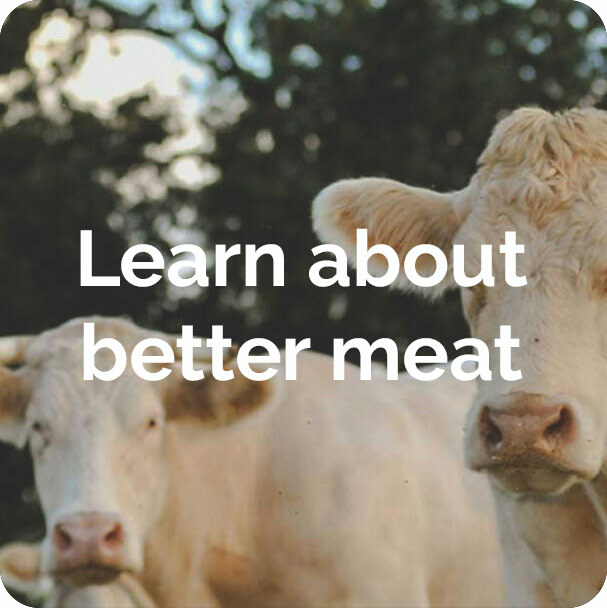 They all start with using domestic, organic and/or grass-fed beef from well-managed animals raised humanely on pasture without the use of routine antibiotics or hormones. You can make them even better by replacing 30-50% of the meat with mushrooms or veggies. By using less meat, you can cut a burger’s carbon footprint and afford better quality, healthier, third party certified beef. Better veggie burgers can be made using all organic veggies, legumes & grains. More on our criteria is here. With inspiration from the James Beard Foundation and Menus of Change, hundreds of chefs around the country have already created tasty recipes that take advantage of the dynamic flavor created by blending mushrooms and beef. You can make blended burgers even better by sourcing only from regenerative and organic farms and ranches, which includes grass-fed.  Check out our selection of videos, infographics and recipes to become informed and get inspired!